Would you like to know about the very many differences between traditional saunas and infrared saunas? I am sure you want to. So many people still love the traditional sauna in spite of the many health benefits of the infrared sauna. No doubt, habits die hard. But what would make someone that has enjoyed lots of sauna bath in the traditional sauna setting wants anything different? 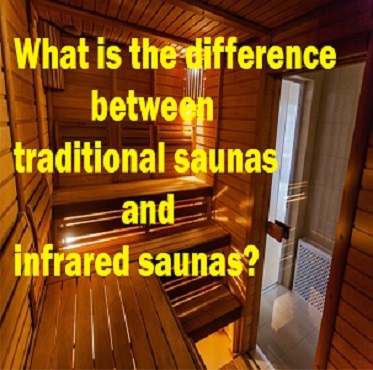 Are there really a significant differences between traditional saunas and infrared saunas? There is a principle behind the far infrared heating. It is called the principle of radiant heat. This principle of radiant heat simply means to heat the body directly. The regular traditional sauna generates heat by first heating the sauna, and then you get heated because the sauna is hot. It’s like being hot because the room you are in is hot. But the principle of radiant heat is different. There is really no point heating up a sauna before you can be heated. You can have heat directly on you without necessarily having to heat up the sauna. That’s the principle behind infrared heating. 1. The traditional sauna humidity is high and gets you uncomfortable after a while. But that’s not the case with the infrared sauna. 2. 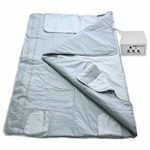 The traditional electric stove heat sauna emits near infrared heat. This is heat that you get first because the sauna is heated. And it all ends at your skin surface. 3. At the traditional sauna, water is splashed over the heater stones to create a blast of steam and to intensify the feeling of heat. 4. For shot, the traditional saunas are a high heat with low humidity environment. 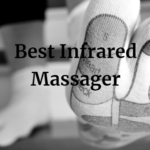 While infrared sauna heats the body directly in a mild pleasurable environment. 5. The regular traditional heat sauna uses stove to heat the air and requires more overall power (kw) to run. But infrared sauna requires less power (kw) to run and uses infrared heaters to emit a specific wavelength of infrared light. It would be better that you look a little more into the actual difference between the traditional saunas and the infrared saunas. The heat in a traditional sauna can really be that high and sometimes unbearable. But the infrared sauna produces the same effect as the traditional one yet with lower level of heat. You cannot regulate the heat in the traditional sauna by yourself. You do not have control over it. But for the infrared sauna, you can actually regulate the heat in a by yourself. There are digital controllers to that effect. With the digital controller, you can set the temperature to a level of heat you want at every session. The Merriam Webster’s dictionary defines humidity as containing or characterized by perceptible moisture especially to the point of being oppressive. High humidity can be oppressive and suffocating. This is true of the traditional sauna steam. But since the infrared sauna do not use steam, you would not need to bother yourself about humidity and its effects afterwards. Power usage is a major factor in the use of sauna. You should be ready to spend lots of money on power if your best bet is the traditional sauna. That’s not the case with an infrared heat sauna. The traditional steam sauna uses lot of power to run, that then makes it really expensive to run. But the infrared sauna does not consume even half the amount of power the traditional sauna consumes. This to me is a good enough reason to choose the infrared sauna above the traditional one? In the choice of a product that works with complement (complementary product), you need to carefully look at the cost of the complementary good. The infrared heat sauna really makes for a great deal of convenience. But in addition to the convenience that infrared sauna affords, you also have to pay a much lower price for it compare to the amount of money you will pay if you were to install a standard steam shower in your house. The traditional sauna heats the sauna and then you get heated because the sauna is heated. 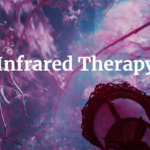 But the infrared sauna employs the technology of far infrared to deliver focus heat deep and directly to your body. In the traditional sauna, you are heated in the surface. But in the infrared sauna, your bones, cells, ligaments, tendons, tissues and cells are all heated. Talk about heat that is focused and that penetrate up to 6 inches deep into your body! That’s what you get in an infrared sauna heat session. The benefits are enormous and far reaching. Even cardiovascular patients can receive help with infrared sauna. In your choice of an infrared sauna, you must understand that there’s also the more expensive infrared sauna that upon installation are fixed and immobile. But I do not think you need that. 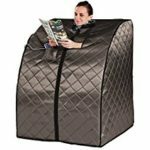 I do think you need a portable infrared sauna, one that can move and travel with you everywhere you go. You do not need a stationary sauna. You do not need a sauna that you only enjoy once you are home or when you visit a recreational facility and gymnasium. You need your own portable sauna. You need a sauna that gives you flexibility and convenience with use. 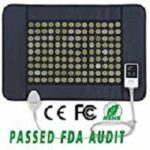 More so, not just only do you need a portable infrared sauna, your portable sauna must be one that emit negative ion and zero or low EMF. 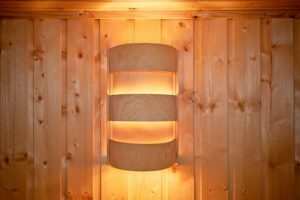 The difference that exists between traditional sauna and the infrared sauna is more about the technology involved; the far infrared heat riding on the principle of radiant heat-focused heat-is what infrared sauna is all about. The traditional sauna is about heat and humidity, nothing really far and focused. And it is expensive. Those are just some of the factors that account for the differences between traditional saunas and infrared saunas. I know you deserve the best. Happy sauna sessions in advance.